This world is usually full of surprises but hold your breath as we get to share some of the most weird and bizarre animals of Africa. Africa is one unique continent with a distinctive culture and tradition with over 3000 spoken languages and a special geographical area surrounded by water, desert and a thick tropical rainforest. All sorts of creatures can be found on this continent and there are lots of weird animals too in Africa. Africa has been referred to as the continent of wildlife. Most weird and bizarre animals found in Africa are beautiful though beauty lies in the eyes of the beholder. Here is a good analysis of the top ten weirdest animals of Africa. 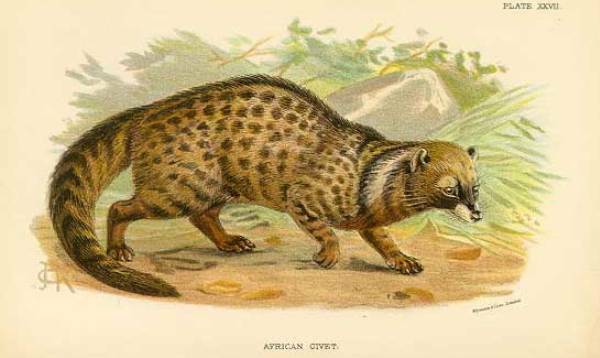 The African Civet is in the class of Mammalia and is the largest in its family of Viverridae. African Civets are found in the forests of central and southern Africa as well as the savannas most especially Mali, Niger and Chad. These group of weird African animals are rarely found in dry areas but places surrounding water as they are also endowed with the ability to swim very well. They are terrestrial nocturnal animals (that is why you have probably not seen them during the day). The typical African Civets are usually black and white to pale yellowish and grey spotted, they have got short legs and pointed nose and definitely can be easily mistaken for a spotted Hyena. They are yet another nocturnal day sleeping animals that are burrowing experts. They feed on ants and termites with their long sticky tongue and stay alert of their predators with their kangaroo-like ears. 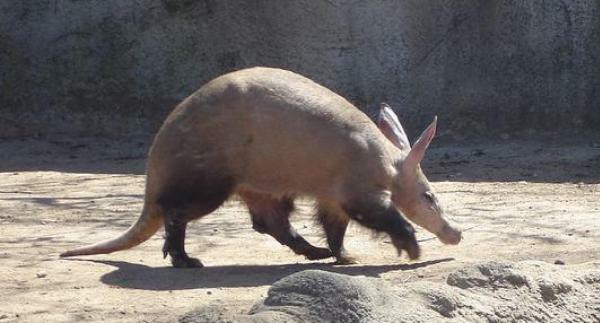 Aardvarks look like skinny dwarf pigs with big weird rabbit ears and are dark grey in colour. They are mostly found in the sub-Sahara of Africa and constitute one of the bizarre animals of Africa. This is the famous animal also called bush-baby, because it cries like a child in distress when it gives a call of danger. They have big eyes for very clear vision as they are nocturnal and long tail for balance when hopping from one location to another. They also have very wide ears that help them locate their meal (insects). Galagos use their urine to grease their hands and feet for smooth movements and also serve as a territorial marker for them. They live on trees and neglected nest within woodlands and bushlands and are widely found in the west and eastern parts of Africa. There are quite a lot of myths surrounding the Galagos which all the more qualify it as one of the most bizarre animals of Africa. 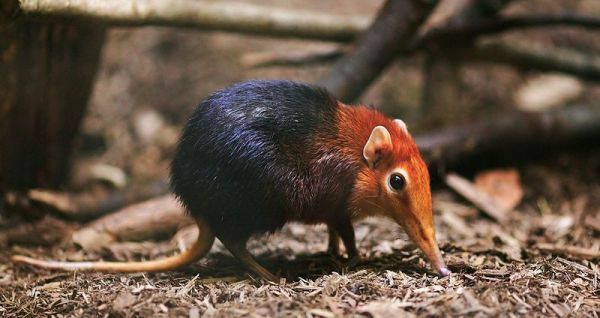 The Elephant Shrew looks so much like a rodent. They are referred to as elephant shrews because they have got truck and long nose just like an elephant. The elephant shrews are really weird because of their long legs compared to the size of their body and pretty long tail. They also hop so well like rabbits and some species are very fast and super runners. They are found in any part of Africa due to their easy adaptability. They make burrow as habitation and live on insects, invertebrate (worms, millipedes and termites) and fruits. They produce scent makers as means of communication and territory ownership. Their predators are snakes and birds. What a beautiful weird-looking animal. It is the tallest among its family of Antilopinae. 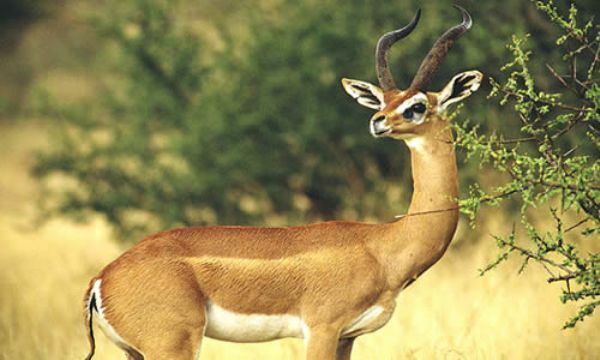 It is unique for its long neck, large eye and ears and a darker shade of brown on its upper belly unlike all others in its class like the antelopes and gazelles. They have got very short tail. The Gerenuks are known to drop scent markers through an essence produced in the eye for territorial markings. They can be found in woodlands and deserts. One very special feature the gerenuk is known for is its ability to stay without water for a long period of time. This is possible because their body works in such a way that the leaves, flowers and buds they eat are enough to satisfy and hydrate them for long. 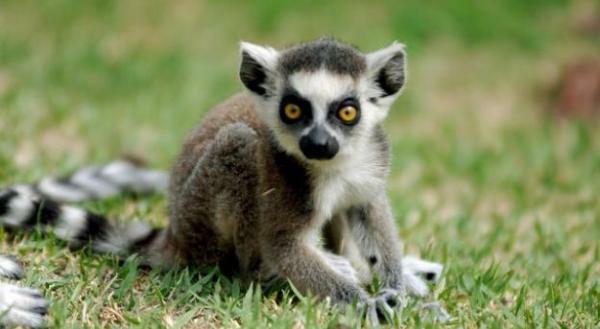 Lemur is one of the weirdest animals in Africa. They look really funny and took their origin from Madagascar. In ancient times, this animal was mistaken to be a ghost because they are usually nocturnal and have very bright shining eyes at night with grey furs on a black and white tail. They feed mostly on fruits, flowers and leaves. The Lemurs have very strong scent markers; they use it for communication, attraction and territorial boundaries. They are the largest rodents in Africa. In Kenya, it is used to make different delicious delicacies. 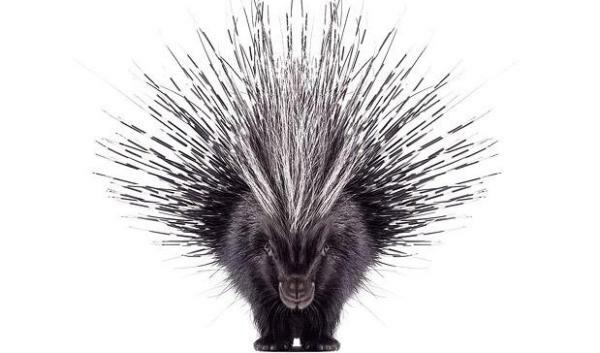 In old times, it was believed that Porcupines use their quills to attack their enemies but that has been clearly proven to be a myth. The quills fall off mostly when they shake their bodies or when they are being carried but not shed as a means of defence. They are herbivorous animals who feed mostly on leaves, herbs and cabbages. In Africa, they become active at the wee hours of the night. 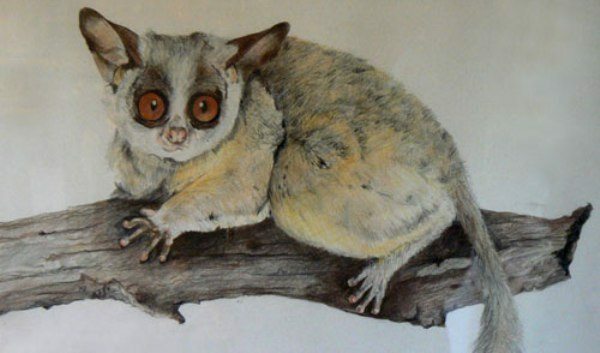 Known for its big eye and huge ears, this weird animal of Africa is found in Madagascar. They are usually associated with a bad omen and therefore is killed on sight. 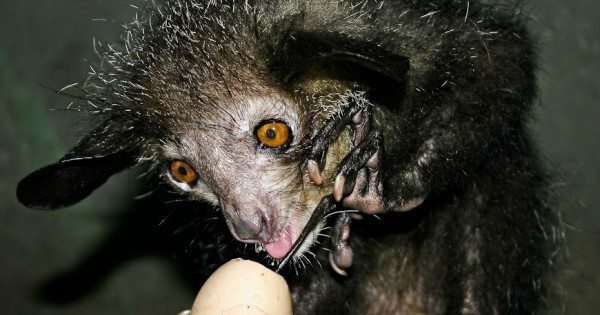 Aye Aye is very similar to the galagos in that they live among woods and in bushes and also leave scent markers with their urine. It has prominently long claws which it uses to burrow through woods just like the woodpecker does with its beak. They feed on insect larvae. Just like most weird animals of Africa, the Aye Aye is a night crawler (nocturnal). They can be found mostly in the east of African around the western Pacific Ocean. It is a marine animal that does not have fins but has paddling forelimbs and whale-like tails. It is a cousin of the elephants. They feed on undersea grasses that is why they are also referred to as sea cows and their greatest predators are the killer sharks and crocodiles. 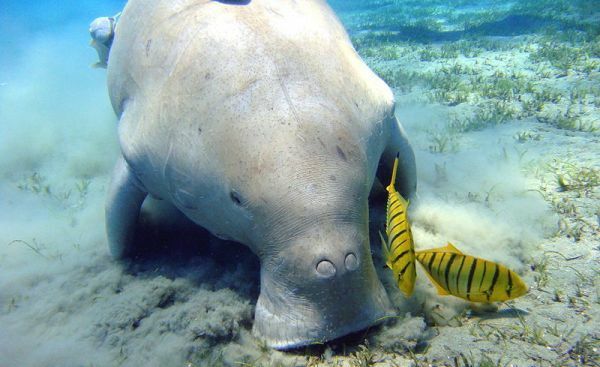 A Dugong can live up to 73 years, although they are going into extinction due to human hunting for their skin, meat and even the oil they produce. With just a few left, the Pangolin has been threatened to the point of extinction. They are smallish dark brown animals with a scaly edged body made of keratin found in man’s hair and fingernails, which folds up into a football shape when endangered. They live on insects and use their sticky tongues to fetch them. The Pangolins sleep during the day and are actively busy at night digging up holes either for nesting, for a meal or habitat for sleeping.